Tom Mariano joins the Florida Launch as the second head coach in team history. In his first year with the team, Mariano led the Launch to the first ever playoff appearance in 2017. Mariano's experience comes from both the college ranks where he currently serves as head coach of Pace University and the professional level where he served as an assistant coach for the Chesapeake Bayhawks. Prior to joining the Bayhawks, he worked as an assistant coach for the Ohio Machine. In 2015, he led the Pace men's lacrosse team to their first NE-10 Conference Tournament in five years. Before leading the Setters, he had a successful 17 year run as head coach of Sacred Heart University men's lacrosse. As head coach, he led the Pioneers from Division II to Division I as well as overseeing a move from the Metro Atlantic Athletic Conference to the Colonial Athletic Association, and eventually the Northeast Conference. In 2013, he led Sacred Heart to the NEC playoffs which earned him Coach of the Year honors. Mariano holds a Master’s Degree in Teaching with a concentration in Elementary Education from Sacred Heart University. He graduated from Nazareth College in 1994 with a Bachelor’s of Science Degree in Business Administration. As a player with Nazareth, he won the 1992 NCAA Division III Men's Lacrosse National Championship team. Burdick enters his second season with Florida Launch as Coach Mariano's top assistant. 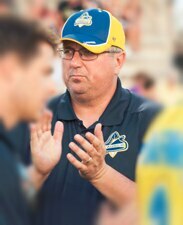 In the first season of 2017, he coached the Launch defensive squad in the teams first playoffs appearance. Coach Burdick currently serves as an assistant for the University of Tampa men's lacrosse program. 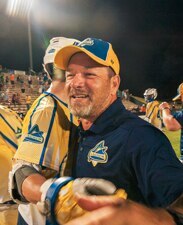 In his stint with UT, he has helped the Spartans to three consecutive Sunshine State Conference championships since the league added lacrosse in 2013. Prior to UT, Burdick served as head coach of Providence College men’s lacrosse program for 14 seasons (1999-2012). After 11 seasons of play in the Metro Atlantic Athletic Conference, he oversaw the transition into the Big East Conference. While in the MAAC, he earned the distinction as the most decorated coach in conference history with more championship teams than any other coach. Under Burdick’s tenure, the Friars qualified for nine straight trips to the conference tournament (2001-09), won four regular season titles (2003, 2005, 2006, and 2008), and claimed the MAAC Championship three times (2004, 2006, and 2007). Before Providence, Burdick served as an assistant for Notre Dame, Delaware, UMass, and Cornell. Outside of coaching, Burdick has served as the president of the MAAC Lacrosse Coaches’ Association and has been a member of the regional advisory committee for NCAA tournament selection. 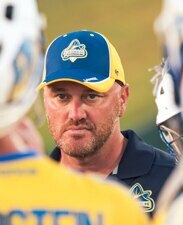 As the offensive coach, Duncan is entering his second season with the Florida Launch team after the sucessful 2017 season. 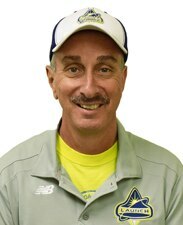 Coach Duncan currently serves as head coach of Flagler College men’s lacrosse club. 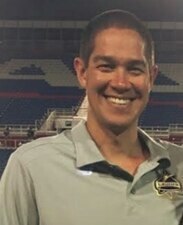 Prior to joining the Saints, Duncan served as offensive coordinator for Division II Florida Tech men’s lacrosse program. At FIT, he helped the team to a 12-4 record as they finished ranked 15th overall in the USILA coach’s poll. The Panthers reached the Sunshine State Conference tournament and championship game for the first time in school history. FIT boasted seven all-conference players after their historic run. Before joining FIT, Duncan served as head coach and director of all lacrosse programs at the Bolles School in Jacksonville, FL. The Bulldogs were 18-16 under Duncan’s direction as they earned two District Championships with 10 players making the 1st All-District team. Previously, he spent three seasons at Jacksonville University as an assistant coach and defensive coordinator for the startup program. In just the second year of the program, the Dolphins made the MAAC Final Four in their first year of competitive play. In his longest tenured position, Duncan spent 10 years with the Community College of Baltimore County – Essex. 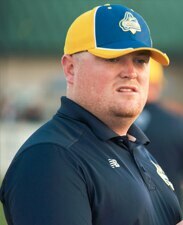 At CCBC, he worked as an assistant coach and recruiter and then transitioned into head coach for the second half of his run. Under Duncan’s leadership, the Knights won the NJCAA National Championship in 2004. His title run earned him NJCAA National Coach of the Year honors. As a player, Duncan was a midfielder for the University of Maryland, Baltimore County from 1989-92. He posted 36 goals and 19 assists during his career and was drafted into professional indoor lacrosse. Matt Dugan becomes the first person in team history to serve in an analytics role. Dugan is currently in his third season as an assistant coach for the University of Tampa men's lacrosse team. He previously served as an assistant Tompkins-Cortland Community College. With TC3 in 2014, Dugan helped the Panthers to a record-setting year and the second playoff berth in school history. Dugan has also held positions at camps with Marist College and Hamilton College. He graduated in 2013 from Marist College with a business-finance degree and was a member of the men's lacrosse team. With the Red Foxes he was a starter for three years and led the team in face-off percentage and ground balls. Dr. Stucken is a Board-Certified, Fellowship-trained Orthopaedic Surgeon who specializes in arthroscopic surgery and sports medicine. He is the head team physician of the Florida Launch. He is a graduate of Cornell University and received his M.D. from the Boston University School of Medicine. He then completed his internship at Boston Medical Center and Orthopaedic Surgery Residency at Boston University where he served as Chief Resident. Following residency, he completed a Sports Medicine Fellowship at the Rothman Institute at Jefferson University. There he was team physician for the Philadelphia Eagles, Phillies and Flyers professional teams, as well the college teams of St. Josephs and Villanova. Here in south Florida, he takes care of the professional lacrosse team as well as local high school athletes. Dr. Eric Shapiro is Board Certified by the American Board of Orthopaedic Surgery and is a Fellow of the American College of Surgeons. Dr. Shapiro graduated from the University of Vermont College of Medicine in Burlington. He completed his internship and general surgery residency at Long Island Jewish Medical Center. His orthopedic surgery residencies were completed at the Schneider Children's Hospital, Long Island Jewish Medical Center, Jamaica Hospital, Huntington Hospital and Memorial Sloan Kettering Hospital in New York.Dr. Shapiro received advanced Fellowship Training in Sports Medicine at Tufts University / New England Medical Center in Boston, Massachusetts before joining Orthopaedic Surgery Associates, Inc. in September, 1994. While residing in Boston, Dr. Shapiro was the team physician and orthopaedic surgeon for Tufts University and orthopedic consultant for the Boston Ballet Company. Dr. Shapiro has been widely published, including contributions to the sports medicine textbook, "Sports Medicine Primary Care Textbook." He has also presented papers on anterior cruciate ligament surgery outcomes at the 20th Annual Meeting of the American Orthopedic Society of Sports Medicine. Dr. Shapiro's special interests are in sports medicine, arthroscopic surgery, and shoulder and knee injuries. He has advanced Fellowship training in the sub-specialty of orthopedic surgery. 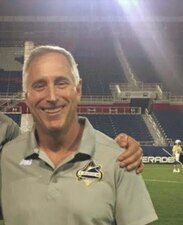 Chris Fantaccione has served as the visiting team liaison for the Florida Launch since the team’s second season in 2015. He hosts Launch opponents’ practices during the season and attends to the all the visiting teams’ needs on game day. Prior to taking on his current duties, Chris served in various roles for the Launch’s inaugural season, including visiting team liaison, field crewman, and analyst in the CBS broadcast booth. Chris also serves as a support staff member for the Launch training camp and Florida Lacrosse Coaches Convention. In addition to his on-field duties, Chris routinely represents the Launch at youth lacrosse league events and sports fitness festivals during the off season in order to promote the Launch in the local lacrosse community. Chris has been in involved in the orchestration of Major League Lacrosse games at FAU Stadium since the 2012 All-Star Game, and served as a member of the Palm Beach County Sports Commission Committee to bring professional lacrosse to this area. When not working on behalf of the Launch, Chris serves as the Operations Director for Florida Atlantic University Men’s and Women’s Lacrosse. Chris also founded and serves as program coordinator for the A. D. Henderson University School @ FAU Middle School Boys and Girls Lacrosse program. Chris played his college lacrosse at Florida State University.